Historical Long Riders inspire each other in Central Asia! The Guild received an email from Richard Rongstad, wondering why we did not have Baron Yasumasa Fukushima in the Historical Long Riders section. The answer was simple: because we had never heard of him! Until now, the only Japanese Long Rider we knew of was Robert Horiguichi, who rode across Mexico with his friend, Joseph Goodwin, in 1931. 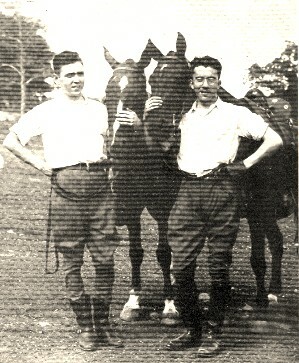 Their adventures were described by Goodwin in his book, "Through Mexico on Horseback" but we do not know if Horiguichi survived the Second World War. With the help of Dan Bachmann and his wife Ritsuko we learned that Baron Fukushima (1852-1919) was from a Samurai family and was the founder of the Kempei Tai (Japanese Secret Service). He was fluent in more than ten languages, and he was most famously noted for riding non-stop from Berlin, Germany to Vladivostok in the far east of Russia in 1892! He is said to have been inspired by Britain's flamboyant Long Rider, Colonel Frederick Burnaby, who rode across Central Asia. 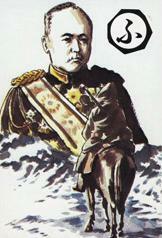 The Venezuelan soldier of fortune, General Rafael de Nogales, knew the Japanese Long Rider. He apparently said of him, "Fukushima was a veritable Don Quixote of soldiers. His courage and his drive, his exuberant cheerfulness were amazing. For a man like this nothing was impossible. Tell him something was impossible and he would immediately prove you wrong by doing it." Baron Fukushima is part of a very exclusive group of Long Riders who have linked Europe and the Far East. It all started with a Scotswoman! The Scottish noble-woman, Catherine de Bourboulon, married a French diplomat and set up house in Peking. When the time came for them to return to Europe, in 1859, Catherine suggested that they ride from Shanghai, China to Moscow, Russia. This remarkable journey was so noteworthy that famed French author, Jules Verne, later used it as the basis of his book, "Michael Strogonoff." Sadly, Catherine died soon after reaching Russia and her trip was largely forgotten, except for a rare French account which was published after her death in a Paris magazine. This account, entitled Shanghaï à Moscou; has been republished by The Guild as part of The Long Riders Literary Project. The next Long Rider to gallop across the world stage was the English officer, explorer and gentleman, Colonel Frederick Burnaby. Burnaby was so large and strong that he could carry a pony under each arm. He was also courageous to the point of lunacy. He made two remarkable journeys across Asia in the 1870s, after having almost assuredly been influenced by the previous ride of Catherine de Bourboulon. Burnaby first rode across all of Central Asia, ending up at the Amir's palace at Khiva. 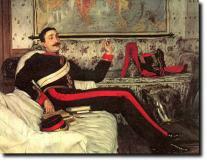 Then, after having avoided the Czar's spies in Constananople, Burnaby rode across all of Turkey. His books, A Ride to Khiva and On Horseback through Asia Minor are part of The Long Riders Literary Project. After surviving these equestrian adventures, Burnaby led a contingent of English cavalry against the Mahdi's troops in the Sudan. He died there from a spear wound. After the death of Burnaby, the centre of equestrian travel to and from Asia shifted to Germany. The most recent Long Rider discovery reveals that a Victorian era Samurai General known as Baron Yasumasa Fukushima rode from Berlin, Germany to Vladivostok, Russia in 1892. This military hero, who spoke ten languages and organized the Japanese secret service still in effect today, told the European press that he was inspired to take to the saddle because of the previous rides of Colonel Burnaby. 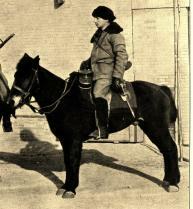 From the time of Jules Verne, equestrian travel galloped into the new 20th century, when the young German Lt. Erich von Salzmann rode 6,000 kilometers from Tientsin, China to Tashkent, Uzbekistan in 1903. He made this remarkable ride, including crossing the Gobi Desert, in only 173 days. We believe von Salzmann would almost certainly have known of Baron Fukushima's journey from Gemany a few years earlier. von Salzmann is the author of Im Sattel Durch Zentralasien, part of The Long Riders German-language Wanderreiter Collection. Three years later, in 1906, Finnish cavalry officer Baron Carl Gustaf Mannerheim undertook a 14,000 kilometre-long, two-year expedition from Andizhan in Russian Turkestan to Beijing, China. After the First World War Mannerheim held the post of Regent in Finland until 1919, and was Marshal of Finland in 1942. There were other Long Riders after Mannerheim, including Madame Catherine Waridel, who rode 8,000 miles alone from Europe to Mongolia in the late 1980s. However, it is Tim Cope, the young Australian who rode from Mongolia to Hungary in the hoofprints of these other brave Long Riders. In an email to The Guild, Tim wrote, "It was the very idea of Mannerheim's journey which sparked me into making my own trip." And there you have it, a 146-year-long chain of equestrian travellers stretching from a forgotten Scottish noble-woman, via British, Japanese, German and Finnish Long Riders to a courageous young Aussie.